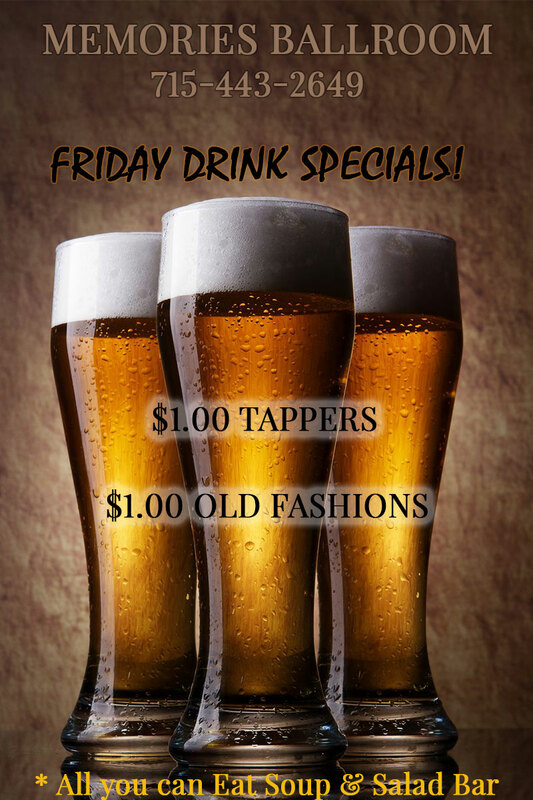 Friday Specials at Memories Ballroom! We are dedicated to making your day as memorable as possible. Visit us on Fridays for all you can eat soup and salad bar.